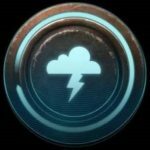 This is a Mass Effect Andromeda consumables guide on the Backup Life Support consumable. Here you will find details on the consumables used by the Pathfinder. Boosts life support capacity and allows a user to survive hazardous environments longer outside of the Nomad. No effect on combat. Was wondering how these things work also. It sounds like they should extend your life support in more hazardous conditions, so I tried to use some for the Level 3 radiation on Eos, but they made sweet FA difference and I died just as quickly. I literally had to run 50 metres into a radiation zone to scan something, (and the last scan for that mission too).